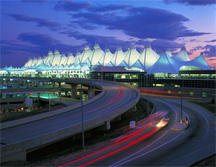 Denver which is also known as Mile High city , is now well known city for convention , conferences and trade shows . Denver with all its big and beautiful hotels and convention center could handle up to 1,00000 guests and visitors at a time . Summer 2013 will be very busy season for Conventions , Seminars , round table discussions and exhibitions . People can meet the people of same interest in these events . There are few conferences regarding education development and educational opportunities which will be very helpful for Career , business and education . Denver Airport Limousine is always a part of all these events , by transporting people from ( DIA ) Denver International Airport to Denver Downtown hotels and then taking them to dinners and other places of fun and amusement . Denver Airport Transportation also help the guests in schedule additional tours and side trips for sightseeing places at discounted and special rates . So , bring your family with you in Summer and turn your learning and growing opportunities into an additional vacation with your family . The spring break has arrived and so has some of the most exciting activities in Colorado. Colorado offers some of the best places to spend your spring vacations. Denver, Winter Park, Vail, Breckenridge, Copper Mountains, Steamboat Springs are some of the most popular destinations to have a memorable vacation. Your days can be filled with skiing, rafting, biking, shopping or just partying away. Denver offers some very happening clubs and dance floors to hang out. Shoppers will also have a lot to check around with a variety of outlet malls in and around Denver. Many of the outlets offer discount sale at great prices. Wish you all a Happy Spring Break 2010!